The first step to plan a trip to Bonito and still save money is to research travel promotion and package travel. If that's what you want, then you're on the right page. The Mega Promoção 2018 is a complete travel package that offers the best conditions for you to travel to Bonito during the off-season. 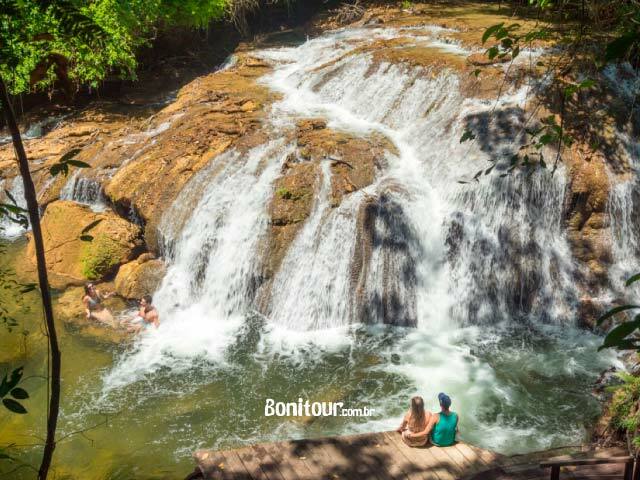 This tour promotion offers what Bonito MS has the best: two snorkeling in rivers with crystalline water and a walk through eight waterfalls. To guarantee more comfort and quality of time for you, the package Mega Promoção 2018 still offers at least 5 daily car rental and lodging at Pousada Gira Sol for 2 people. 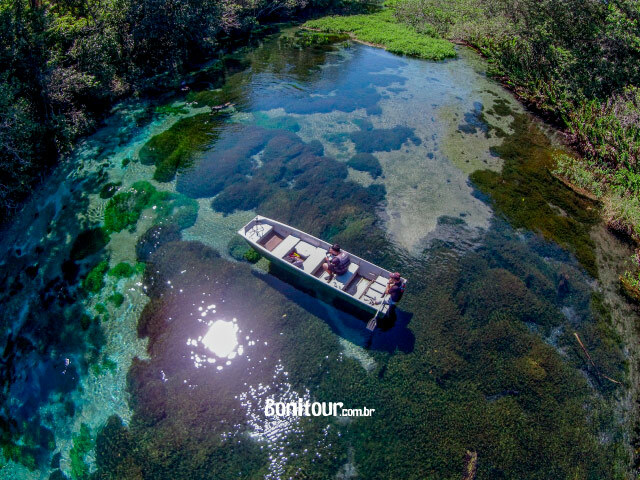 The tour begins with a light trail of 400 m in the forest, which will take you to the main deck where you begin to float through the clear waters of the Rio Sucuri - which has already entered several times in the list of clearest water in the world. During the way it is possible to observe the main springs and during the realization of the floating, the visitor will have the opportunity to see some fish, animals, and a lot of underwater vegetation.  The end of the tour takes place at the meeting of the Rio Sucuri and Rio Formoso. Lovely! 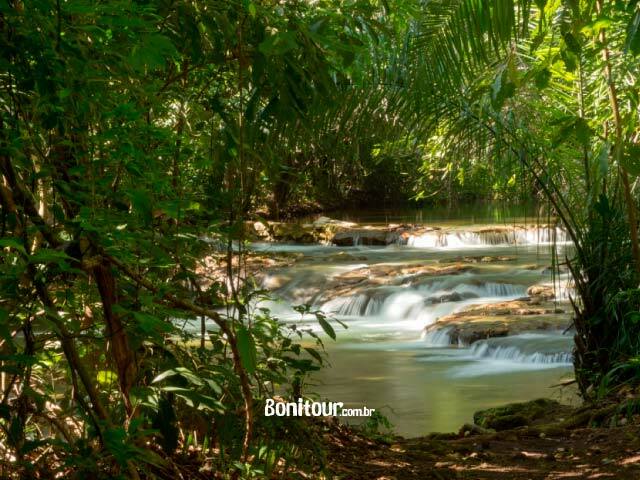 The crystalline waters of the rivers and springs are the major attractions of the Bonito MS region. By taking advantage of this May 1 holiday package, you will experience the unique experience of floating on the Nascente Azul. 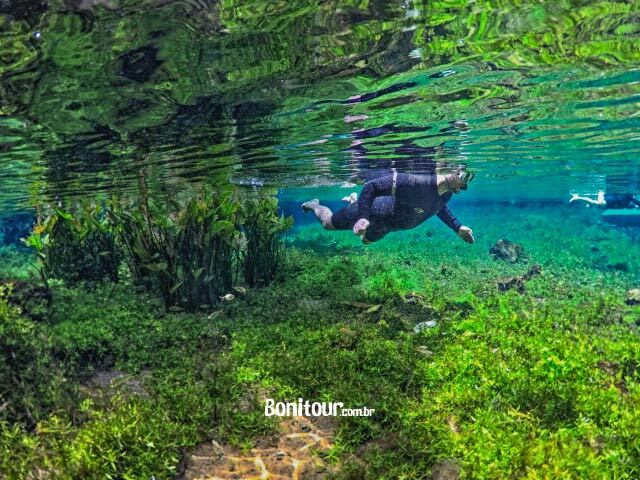 The clear waters and colorful fish are characteristic of this tour held at the headwaters of the Rio Bonito. A 1.500m contemplative path through the Bacuri Forest will take you to this paradise. And it's not over, no! 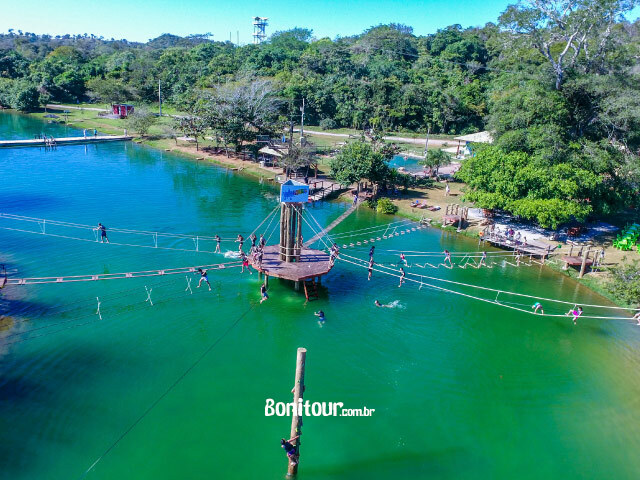 You'll still enjoy the entire structure of Aqualoko, in the Blue Spring Resort, which includes activities such as: zipline, tightrope and more. Trails, waterfalls and, to recover the energies, lunch included. With up to 6 stops for bathing, the walk in the Serra da Bodoquena starts with a 2,500m course through the forest (light trail) and passes by lovely waterfalls and natural pools. The attraction has extensive grassy area, zip line, kiosks and all the necessary structure for your comfort and safety. The tours have guides, instructors, and support equipment necessary to perform some specific activities (neoprene clothes, support boat, masks, snorkel, and lifejacket). 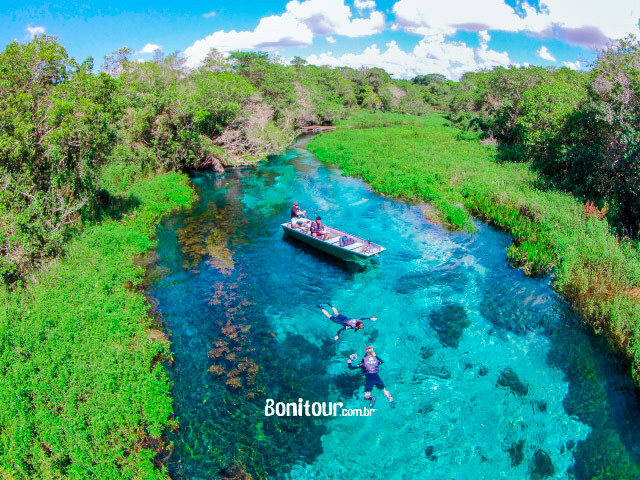 What are you waiting to close this tour package in Bonito MS and come and enjoy the best of our region? Enjoy the off-season period and enjoy yourself!